A big thank you to Kanebo and KATE for these products, I really like KATE products so much when I open up the package I teared a bit. 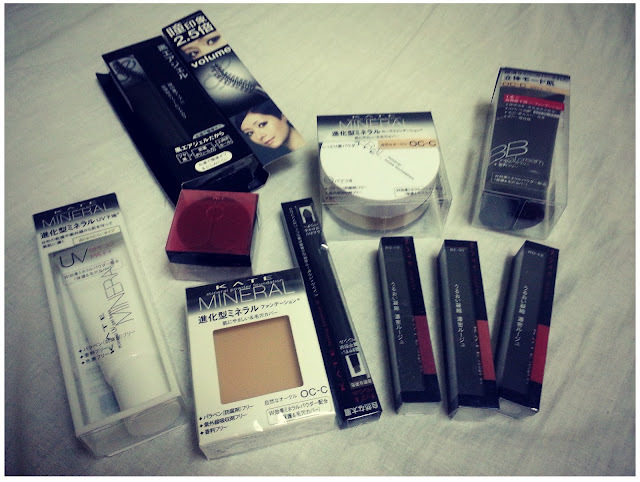 All these will save me a lot of money from buying cosmetics. I seriously can't wait to finish those I'm using now so I can start using these lol. By the way, KATE will launch their Autumn Winter 2012 New Collection this month! There are so many new products coming into KATE's counter near you! Go check it out to be the first one to own the new products, they are awesome!!! Today is one of the happiest day I've had recently. Thank you to everyone and the universe that made my day. Keep it coming!!! !